As we began our journey to understand the flipped classroom model and its traction in the world of education, our research brought us to two of the topic’s most authoritative voices—Jonathan Bergmann and Aaron Sams. The pioneers of the model inspired the movement in K-12 institutions and have lent credibility to the practice in higher education. For those not already familiar with the flipped classroom, it’s the practice of swapping lectures with assignments normally completed at home so students have more time to interact with their peers and instructor during class. 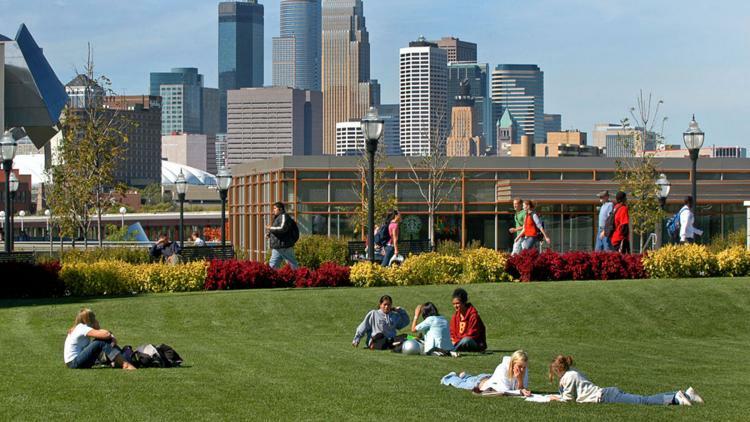 This brings us to our friends right across the Mississippi River at the University of Minnesota. In 2007, they piloted an eLearning program called “technology-enhanced active learning classrooms”, which—just like in the flipped classroom—exchanges the traditional time spent in class on lectures with homework and activities. eLearning, the practice of using technology to support and increase access to learning, joins the ranks of centenarians, as it’s been around for nearly 100 years. In fact, the university had its first brush up with this type of program back in 1915 when it produced educational films to share with students, aiming to improve the education process. The University of Minnesota is once again pushing the boundaries of technology in education with a brand new pilot program called Massive Open Online Courses, or MOOCs for short. The program, which will launch for free later this year, is an online interactive initiative that can accommodate hundreds of thousands of students in a single course. That’s right, hundreds of thousands. Learn more about this fascinating program in the University’s Shattering the Classroom Walls article. It’s a great read.